While doing research on my grandfather Ben Benjamin I stumbled upon this beautiful illustration by artist Denys Wortman from a comic strip he drew called Metropolitan Movies that ran in The New York World from 1924 – 1954. If you’d like to learn about Denys Wortman and see more of his artwork check out this website created by his son, Denys Wortman VIII. Yes it does. Thanks for your comment! 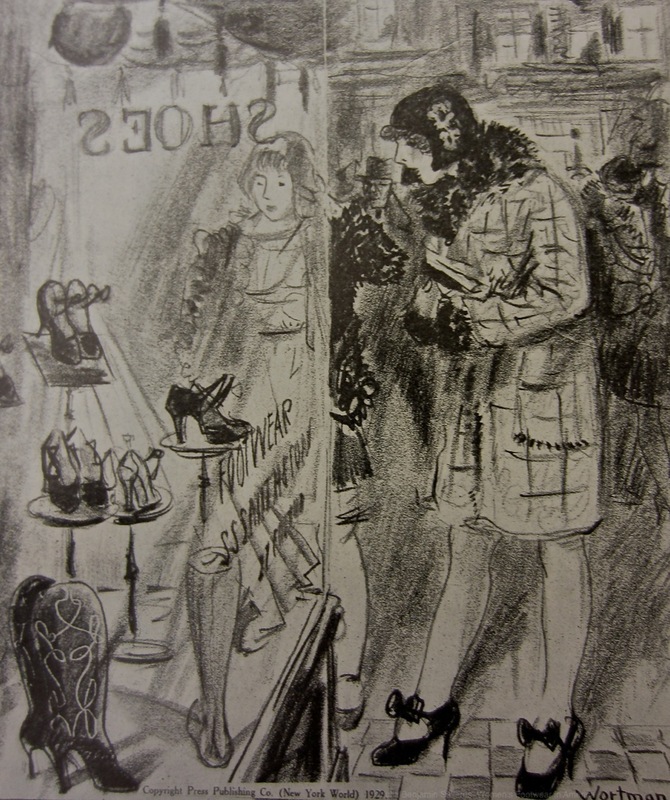 You are currently reading The World: Tuesday, January 15th, 1929 | Metropolitan Movies at Women's Footwear in America.